Are you ready to make the most awesome fun accessories ever? 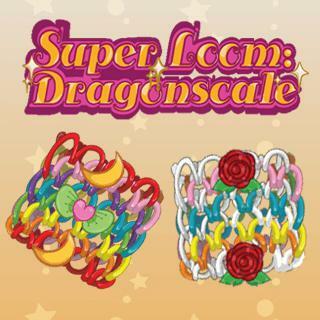 Create a colorful and super stylish Dragonscale bracelet in this cool new Super Loom game! Create the classic Rainbow multicolor pattern or design your own unique bracelet. Simply load the loom, color each row and bring everything together. Try out different colors and invent new patterns, it's all up to you! Finally, add cute charms and be pretty with your design! What are you waiting for? Get looping!